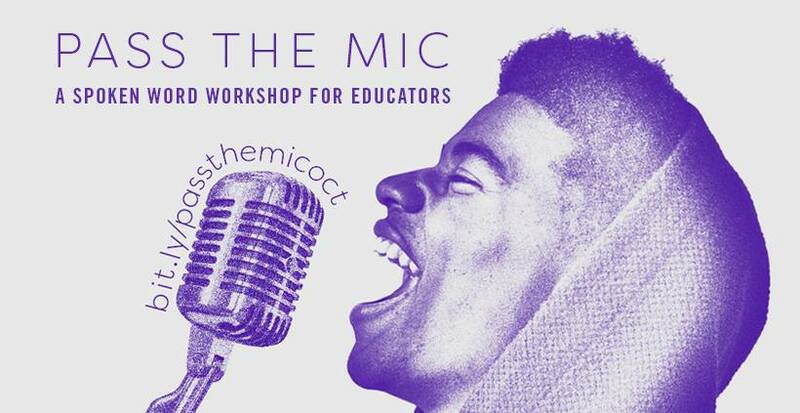 Join a spoken word workshop for educators on 10/10, 6-8 PM @ Britannica HQ. Center student voices through the power of performance poetry during this 90-minute crash course. Admission is free! Please RSVP. Impact youth? This workshop is for you! Learn how to release the force of performance poetry in your students in just 90 minutes. Hosted by Britannica Digital Learning at Encyclopaedia Britannica’s historic Chicago headquarters, Young Chicago Authors (YCA) will lead a hands-on workshop for educators that teaches how to use spoken word and poetry to center student voices on the issues that impact them and build literacy skills in new and engaging ways. Led by YCA’s Creative Director and the founder of the world’s largest youth poetry festival, Louder Than A Bomb, Kevin Coval guides educators through an immersive evening of writing, performance, and discussion. The theme of the night is “odes,” in which participants will create a poem celebrating or praising a particular person, place or thing they love. Watch one of Kevin’s favorite examples of an ode. A deeper understanding of spoken word and its value in the community and classroom. A toolkit of concrete ideas, sample curriculum, and detailed student activities that use performance poetry and creative writing to meet Common Core objectives. Their own original work of ode poetry. Certificates of attendance made available upon request.Attendees will also enjoy a special performance of award-winning work from YCA’s “Bomb Squad” of elite young poets, as well as complimentary refreshments. Poet and community builder Kevin Coval is the author of 10 books, including A People’s History of Chicago, editor of The BreakBeat Poets: New American Poetry in the Age of Hip-Hop, and co-writer of the play This is Modern Art, which premiered at Steppenwolf Theater in 2015. Additionally, he is the Artistic Director of Young Chicago Authors — winner of a MacArthur Award for Creative and Effective Institutions in 2016 — founder of Louder Than A Bomb: The Chicago Youth Poetry Festival, and co-host of the WGN Radio podcast The Cornerstore. His work has appeared on The Daily Show, four seasons of HBO’s Def Poetry Jam, CNN.com, Poetry Magazine, and Fake Shore Drive. He is the editor of the Haymarket Books imprint BreakBeat Publishing, which is dedicated to publishing radically fresh voices, and teaches hip-hop poetics in high schools, colleges, and community centers around the globe. Find him on Twitter and Instagram @kevincoval. Through creative writing, Young Chicago Authors helps young people from all backgrounds to understand the importance of their own stories and those of others, so that they can pursue the path they choose and work to make their communities more just and equitable. YCA exposes young people to hip-hop realist portraiture and teaches them how to create their own authentic narratives through a variety of arts education programs both in and out of the classroom. These programs include free Education Partnerships for qualifying Chicago schools, free weekly writing workshops and open mics for young poets, journalists, and emcees, and Louder Than A Bomb, the largest youth poetry slam in the country. Our mission is simple; to ignite curiosity and spread the joy of discovery. Future dreamers, leaders, and builders depend on educators every day to help them learn to examine their world more deeply. We partner with over half of all U.S. schools and 1.6 million teachers, reaching over 25 million students, to provide them with effective, enriching, and innovative tools, resources, and ideas to meet the needs of their students and communities.